When we store large amounts of files in our system, it may ( consciously or unconsciously ) just duplicate these data several times, storing duplicate information. An example of this might be to copy batches of pictures from your camera or mobile to download files from the Internet or simply not having time to get to class files. To fix this, there are some programs to eliminate duplicate files that look ( following a set of parameters ) repeated files on a hard, giving us the opportunity to eliminate the redundant information, getting more order and freeing up space in our records. Behind this rustic GUI hides one of my favorite programs for removing duplicate files. 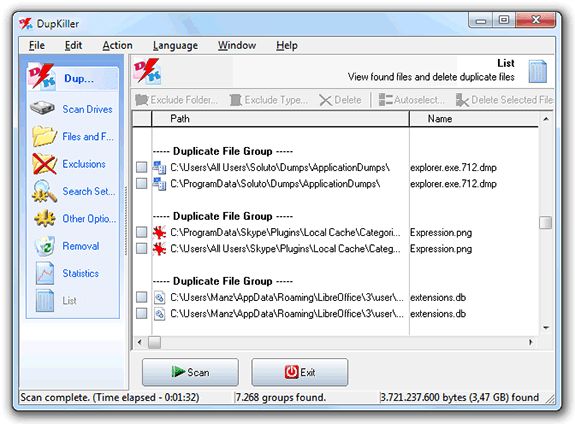 DoubleKiller is a powerful tool that allows very fast and do a quick search for duplicate files on our disks ( or specific folders ). The program allows you to search by names, sizes, dates and / or checksum CRC32 identical ( by default the combination of size and CRC32 is very effective ). Limits using masks to exclude certain types of files ( or with certain characteristics ). Achieved with a very nice graphical interface is presented Dup Scout , an intuitive program to eliminate duplicate files with multiple search options redundant information. The application allows the creation of small graphs with doubled space that could liberate, compressing information, delete duplicate or generate reports. 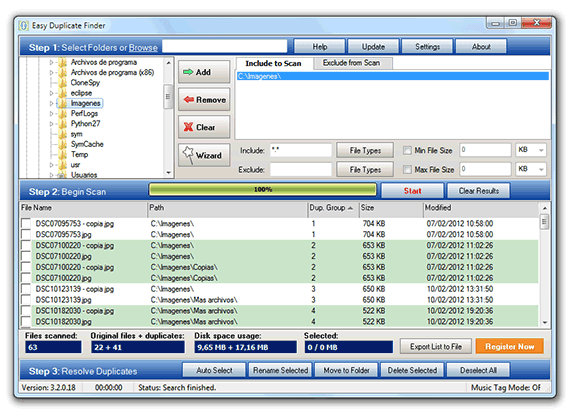 Continuing with the quality that we are used Auslogics continue with Auslogics Duplicate File Finder , a program to search for duplicate files, ideal for people with little knowledge advanced , application requiring powerful, yet easy to use features . Maybe, for advanced users can stay a little short, but serves its purpose quite well. AllDup offers an installable version and other portable ( no installation required ) of this curious program deleting duplicate information. The interface can be overwhelming at first, due to excessive graphics icons , but once we know its handling is excellent for the speed with which we can handle it. It also has good support for automatically mark files created the list, according to certain patterns. 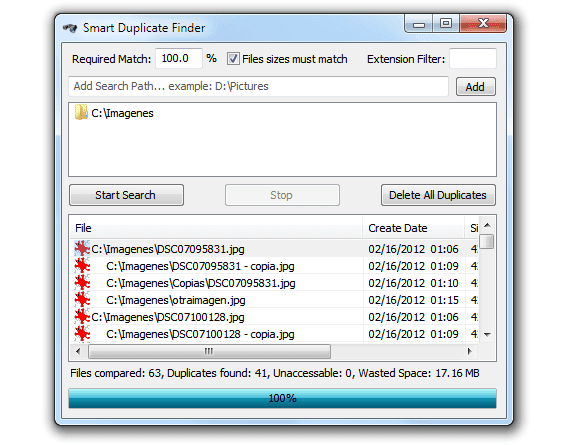 Smart Duplicate Finder is the easiest program to delete duplicate files. In a small and simple window, we just have to type the path where you want to search ( you can add more ) and the program does the rest. Ideal for those looking for something simple and fast. 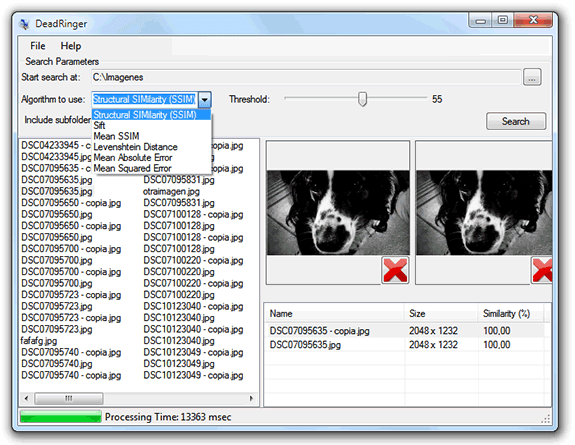 Deadringer is a fork of Duplicate images finder and contains interesting information seeking improvements duplicate. In principle, it is possible to search with various algorithms different, they will use a threshold of similarity to find duplicate files. 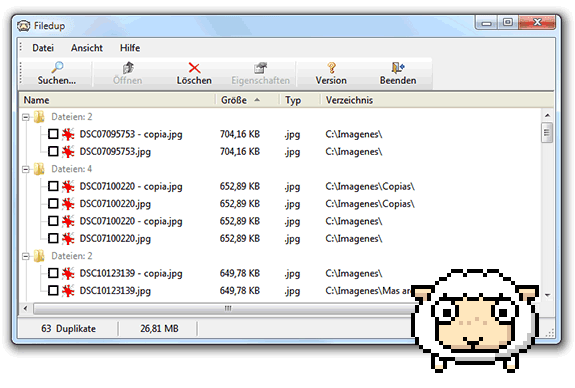 It also allows the preview of the image files found, allowing easily check if this really is a duplicate or not. dupeGuru is a program that stands out for the number of advanced features it has. 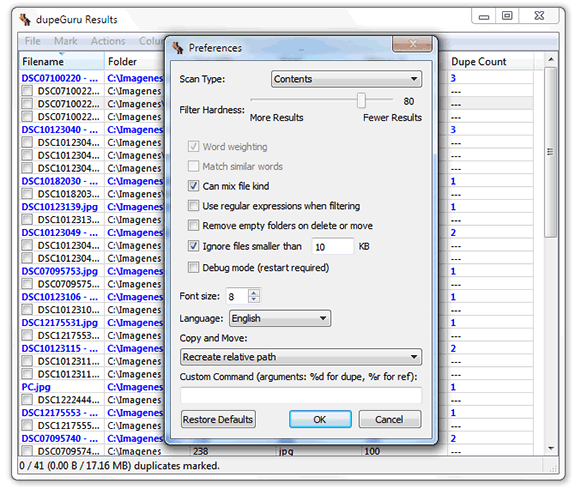 Allows multiple selection options between duplicate files found, and allows to perform a specific command ( customized by the user) with each of the duplicate files have been found. It has Windows version, Mac and Linux ( the latter, for 32 and 64 bit ). Perhaps one of the most difficult to use from the list due to his strange ( and old ) interface. However, it offers good performance and several customizable options that will make it easy to find and delete duplicate files. In the download page you can also download the language Spanish , to implement and translate the program. 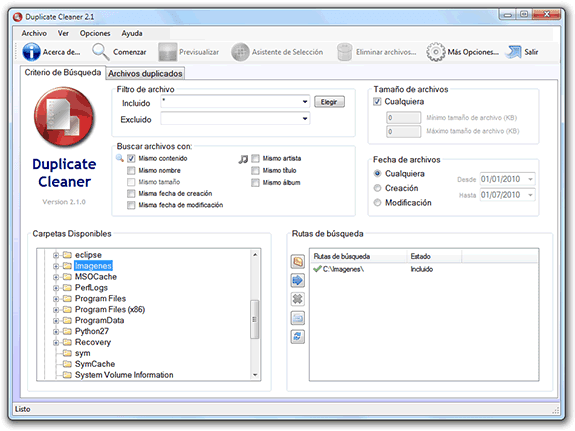 The interface is simple and pleasant, is in Spanish and can even make lists in CSV format for later use by scripts. You can also choose the type of comparison ( Byte by byte, MD5, SHA-1 or SHA-256 ), among many other things. 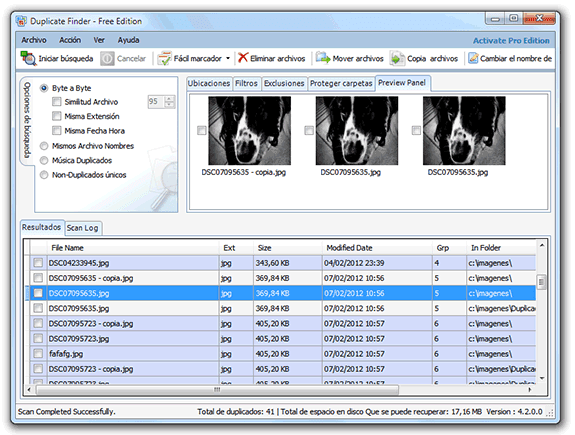 A simple program that lets you delete files very easily, using the multiple preview pane, which allows to observe several duplicate images marked as a glance. Also Ashisoft also has several specialized applications in the search for duplicate images or photographs , audio files duplicates or duplicate iTunes songs . 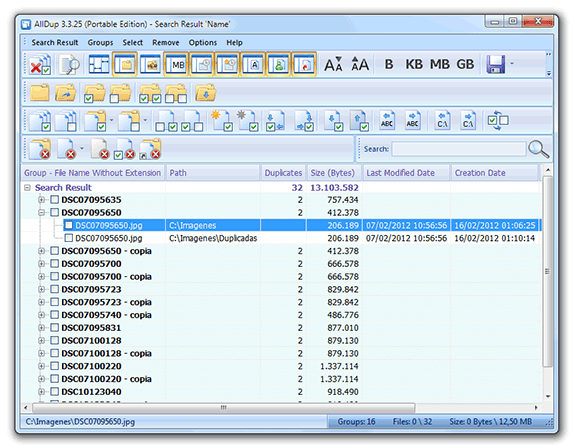 Simple program to search for duplicate files that allows access to multiple information at a glance. The interface may seem a little complex at first, but once we find all that we need is very comfortable if we have information about the files found. 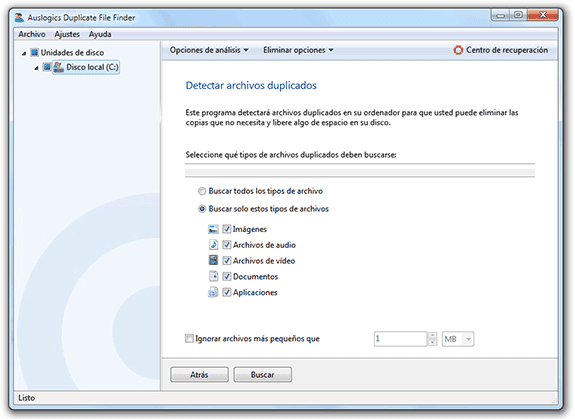 Finally, FileDup is ideal for those who want to find duplicate files and not worry with programs with many options. The only downside is that the application is in German ( with no possibility of even translate into English ), but on the other hand, the application is not too difficult to use and its simplicity is referred to one of its great virtues. Do not lose sight of the friendly program icon, I settled down on the right. Do you know or do you usually use another free program or file search duplicate files that is not in the list? Tell us in the comments! hello there, just want to add tool I've been using its the "DuplicateFilesDeleter" Its an easy fix for duplicate files, spreadsheets, mp3 tracks and many more. You can also use Tunes Cleaner to remove duplicated music in iTunes library.